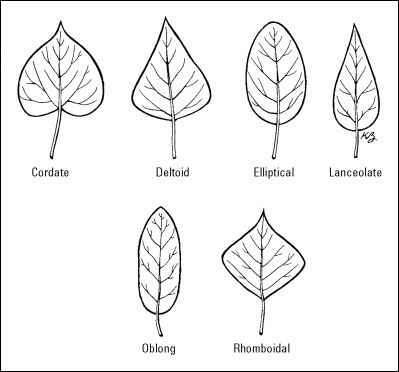 All these crops have the common trait of growing their fruits on long, trailing vines, although some varieties now grow in more compact bushlike patterns. Many of these species can pollinate one another, too, making it nearly impossible to get seeds that grow fruit resembling the original varieties. Plant leggy tomato transplants horizontally in a trench. Cucumbers are classified as slicers (long and thin) and picklers (short and prickly). Squash are grouped as summer and winter varieties. Summer squash — such as zucchini, pattypan, and crookneck — have tender skin and are best eaten soon after harvest. Winter squash — such as acorn, buttercup, and butternut — develop hard skins and dense flesh, making them good for storing through the fall and early winter. Pumpkins range in dimension from apple-size to something resembling a small Volkswagen Beetle. Some are used for cooking; others are better for carving and ornament. For pies and soup, grow New England Pie, Baby Pam, or Small Sugar. For carving, Howden and Connecticut Field are among the standards. Grow Atlantic Giant or Big Max for the big-pumpkin contest at the county fair. Finally, a few good melons include Earli-Dew and Burpee Hybrid muskmelon, as well as French Orange, a muskmelon/Charentais cross. Charentais are orange-fleshed French melons that resemble muskmelons. Cantaloupes, by the way, have smoother skins and smaller seed cavities than muskmelons, but taste pretty much the same. For something delicious and unusual, grow green-fleshed Passport cantaloupe. Try Crimson Sweet and yellow-fleshed Yellow Doll watermelon, or one of the new "personal size" varieties, such as Little Baby Flower and Mini Yellow, that weigh in at just 2 to 4 pounds. ✓ Planting: Sow these vegetables directly 1 to 2 weeks after your last frost date, when the soil is at least 60 degrees. In colder areas, start seedlings indoors 3 to 4 weeks before setting them outdoors to get a head start. Even though many bush varieties are available, most squash-family plants need room to spread their vines, so space them according to seed-packet instructions. ✓ Care: These warm-weather crops need heat, water, and fertility to grow best. 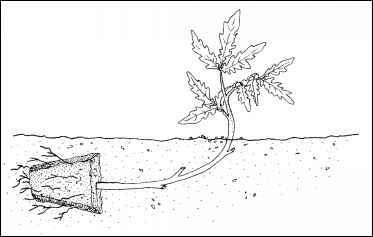 Amend the soil at planting with a layer of compost, and side-dress the plants with a complete fertilizer when they start vining. Keep the plants well watered. Protect all squash-family plants and fruits from frost. Squash-family crops need bees to pollinate the flowers to get fruit. Plant bee-attracting flowers around the garden to ensure fruit pollination. If fruits form but rot and drop off before enlarging, it's probably due to poor pollination. ✓ Harvesting: Pick cucumbers when they are 4 to 6 inches long, before the seeds enlarge. Harvest summer squash when they're small and the flowers are still attached for best flavor and to keep the plants producing well. Harvest winter squash and pumpkins when the varieties turn the desired color and your thumbnail can't puncture the skin. Harvest muskmelons when they slip off the vine easily when lifted. Watermelons are harvested when the skin color turns from shiny to dull and the spot where it rests on the ground turns from white to yellow. Also check the last tendrils (curlicues coming off the stems) before the fruit. When the tendril turns brown, it's harvest time. ✓ Pests and diseases: Squash-family vegetables have their own whole set of insects and diseases — many named after the plants they attack. The most prominent ones include cucumber beetles, which are yellow- and black-striped or spotted beetles that feed on young cucumbers, melons, and squash; squash vine borers, which attack mostly squash and pumpkins; and squash bugs. Turn to Chapter 8 for more detailed information on these bad guys. Bacterial wilt disease attacks mostly cucumber and melons. The plants wilt during the day and are slow to recover even if they're well watered. Control this disease by planting resistant varieties and controlling cucumber beetles, which spread the disease. How to keep squash for the winter? When to harvest butternut squash plants? How to save leggy zucchini plants? How to farm squash &pumpkin? How to plant LEGGY tomato plants? 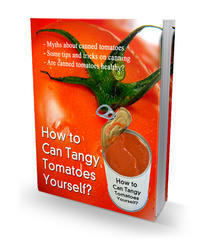 Can vining tomatoes cross pollinate with pumpkins? What are the fruit of plants including melons,cucumber and pumpkings called?